Home » Personal Finance » How to take PPF Loan against account balance? Public provident fund (PPF) is one of the best tax saving investment option. If you have PPF account you are entitled to take PPF Loan against your account balance. 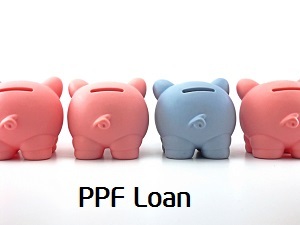 PPF Loan is available at low interest for the shorter duration. Imagine a situation where you need a cash urgently. What do you do? Generally, you approach a bank and take a personal loan. A personal loan is the fastest way to get money from a bank. However, please note that taking a personal loan is a costlier affair. The interest rate charged on the personal loan is very high 14-24% compare to loan against PPF balance. Let’s take a quick look at PPF Loan and its benefits. PPF Loan can be taken by PPF subscriber after second financial year from the date of the opening account. Suppose you opened the account in FY 2014-15. You are eligible to apply for PPF loan in FY 2016-17. PPF accounts follow April to March as a financial year. You cannot take a loan from PPF account seventh year onwards as you are qualified for the partial withdrawal of money from PPF account. The Loan amount cannot exceed 25% of PPF balance amount. PPF loan is given for 36 month time frame. You can make repayment lump sum or in monthly installment. You can take the second loan once you repay the first loan. The Interest rate charge will be 2% higher than PPF interest rate. This means if you currently applied for PPF loan you will be charge 8.7% + 2% = 10.7% interest. If you fail to repay the loan in 36 months 6% additional interest will be charged. PPF loan is low cost compare to personal loan. In case of PPF loan, you will be charged 2% extra interest on PPF interest rate. You need not to produce any document or need not to place anything as a mortgage. Loan prepayment period is 36 month. Prepayment can be made either lump sum or in monthly installments. No prepayment penalty & No pressure of EMI payment. You can avail this loan easily. Processing period of this loan is one week. No fear of recovery agents. 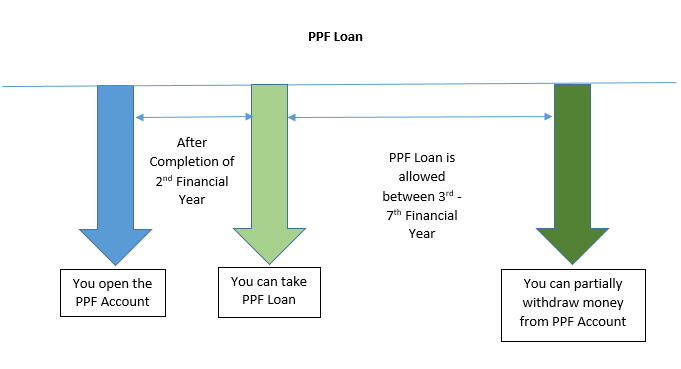 How to take PPF Loan? Follow the steps given below to avail loan from PPF account. Loan against PPF balance can be applied in prescribed form called as FORM D.
Fill up the FORM D and submit it to the bank. You need to specify the detail about loan taken previously and PPF account number. You also need to enclose the PPF passbook along with application. Once you submit the application bank will take 6-7 days for processing your loan. You need to make the repayment of PPF Loan within 36 months. You need to pay principal and interest amount separately. The principal amount can be paid with monthly installment like EMI or on lump sum basis. After the principal amount of the loan is fully repaid, you need to pay the interest amount in not more than two monthly installments. In case the loan is not paid within 36 months 6% additional interest shall be charged. (14.7% as per current PPF interest rate). You have a very small window of 4 years for availing this loan facility. From 3rd financial year to 6th financial year. If you are unable to pay the loan on time you will be charge 6% additional penalty. This means you need to pay 14.7% interest which is at par to personal loan. PPF is long term investment option made for retirement. It is not advisable to stake your PPF saving by taking loan. You should take PPF loan only in unavoidable circumstances.